Today, I announce that the United States Ambassador to Israel has moved his official residence to Jerusalem. He will live in Jerusalem, commuting each day to the embassy in Tel Aviv until the new embassy in Jerusalem has been completed. Ground-breaking for our new embassy building will take place by year’s end. Our laws require our embassy in the State of Israel to be in her capital, Jerusalem. America, if nothing else, is a nation of laws, dedicated to the supremacy of law. We, as a nation stand for the rule of law. It is obscene that our great nation, which has sent thousands of her children to die on foreign soil to protect the rule of law now flaunts a duly, freely created law of our own. Today’s moves are long; long in coming, long overdue. The United States is a friend to freedom and democracy everywhere. Both have been found in Israel since her founding. Instead of government controlled news outlets, Israel supports a flourishing free press. In a world where many are still subject to less than fair and not nearly free elections, Israel’s system of elections are vibrant and democratic, free and fair. Rather than the show trials prevalent in many nations, Israel respects and cherishes the rule of law, the equitable administration of justice and a fully independent judiciary. This alone would merit support of, alliance with, and friendship to Israel. Israel being free and fair in a region filled with intolerance and instability makes her unique, and her friendship invaluable. Israel has been a treasured friend in the halls of the United Nations, voting with the United States more times than some of our closest NATO allies. On the ground, we have national security interests to defend in the Middle East. Friendly ports and friendly skies are vital. But make no mistake. Friendship with Israel transcends any temporary tactical or strategic need. Needs change. Interests shift. Our values never will. 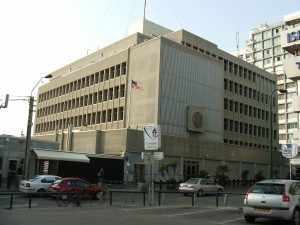 The United States and Israel share democratic principles and freedoms. Like all good friends, and even loving spouses, we quarrel occasionally. But our friendship, stemming from shared values is unshakable. Support for Israel, by extension, showcases our affinity for every beacon of freedom in a world still too dark with tyranny and oppression. We pledge to support Israel, to buttress her as an institution of democracy. Terrorists and guerillas flaunt the rule of law, vowing to drive democratic institutions and free peoples from the Middle East. They battle with Israel, and with our other pro-democracy allies in the region. Israel has answered rockets and sniper attacks with a spirited defiance we as a nation understand. Winter at Valley Forge almost ended this noble undertaking. We persevered. We were victorious then, and now. America did not – we do not, we will not, back down. In her defiance Israel does not ask for a single American soldier to risk their life for her cause. They fight their own battles. All they ask is for our support and friendship. So one thing we can do to support freedom worldwide is moving our embassy to Jerusalem. Today. Some say this is mere symbolism. Well, symbols matter. Our flag is our national symbol. To the persecuted and terrorized everywhere, the Stars and Stripes symbolizes freedom. My father, President Bush, began his service to our country during World War II. As a nation, we do remember and painfully so, that our nation did perhaps too little, too late to stop the calculated slaughter of Europe’s Jews. But we remember too, with pride, President Truman bucking consensus to support the fledgling state of Israel even as all her neighbors invaded seeking to finish the gruesome unholy work begun by Nazi Germany. History teaches that America must always extend friendship to all free nations and free peoples. America fears no one. We stand tall against all threats to freedom. Our ideals, our values demand it. Those values – those ideals demand moving our embassy to Jerusalem. Today, our friendship with Israel and our love for the democratic ideals we share prevails over dark bigotry and scare tactics. Jerusalem has been chosen by the free and democratic citizens of Israel as their seat of government. The ambassadors of the United States sit in the capital of every nation in the world. No matter if that nation is free or not. No matter if that government upholds the law or flaunts it. No matter if that government serves it’s citizens or torments them. In every nation, our ambassador resides in the capital. Every nation, but Israel. Until today. Today we remedy that. In doing so, we redeem our national values. Thank you and G-d Bless. Howie Beigelman is an attorney in New York.